We are as unique as the wood on which we capture your memories and as individual as your images and art that inspires you. 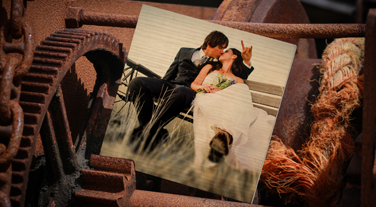 Formed in 2014 we are family business that is passionate about imagery and preserving memories. You can now see for yourself how great our products are and the care and attention that is undertaken to produce each individual Woodpic. Check out our Woodpic Video intro “Welcome to Woodpic” to see how much love care and attention goes into every Woodpic created especially for you! Printing photographic images and fine art directly onto sustainably farmed wood, produces personalised and distinctive works of art for friends, the home, for the office and for retail use such as restaurants and bars. We’re young, we’re new, we’re as enthusiastic about our product as you will be and we’re taking the country by storm. By imprinting ink directly into the grain of the wood and working with professional photographers and artists, we deliver more than a great product – we create individual masterpieces. Professionalism, creativity and innovation are key in every stage of our production process. Three simple clicks are all it takes to create your own custom Woodpic: choose the size, upload your image, purchase the product. You can also select from a range of popular extras such as varnishing, framing and gift wrapping for that perfect present. Woodpic Wall art provides a range of images as wide as your imagination, we have a huge library of modern and classic photo & art available for you to browse and choose from. There is a wide choice of sizes supporting stunning photography and classic images! We offer single prints, collections, multi panel & montage options. Once you have made your choice, we select the sustainably farmed Birchwood and, using the process we have refined, we fuse the printed image with the natural grain of the wood. The result is a memory that will last a lifetime, an image that lives in the wood and is incredibly durable. Now you know what we are about, all that remains is for us to package it and dispatch it to you. Whenever and wherever you want your Woodpic, whether it’s décor for your home, a fabulous gift for a friend or artwork that brightens an office or workspace, three clicks is all it takes. Woodpic, where art and nature fuse to engrain memories! Every Woodpic is hand crafted by our professional team who combine your design with their eye for detail to ensure an original personalised and stylish work of art everytime. We hope you enjoy your Woodpic experience. We understand that every Woodpic carries a memory, a story, a moment that is being captured. That is why we promise that every Woodpic is treated as if it was our own. 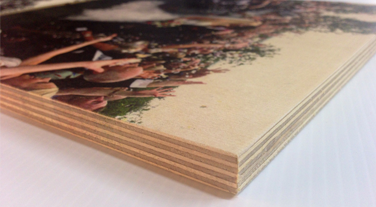 All our wooden canvasses are carefully hand selected, engrained and then checked and packed by the Woodpic team. This team has over 30 years print and wood craft experience bringing you a revolutionary and unique gallery quality product every time. All our wooden canvases are sustainable sourced. Using only premium grade ply we ensure that each Woodpic is of the highest quality. As well as memories we can print professional artworks, designs, signs or even your own doodles and drawings. 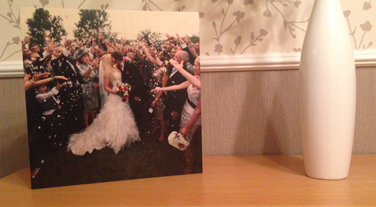 Tired of the same old canvasses and photo prints add Woodpics to your portfolio. We offer special discounts to our trade resellers.